There are very few things remarkable about Buhl’s entrance or contributions as a company. 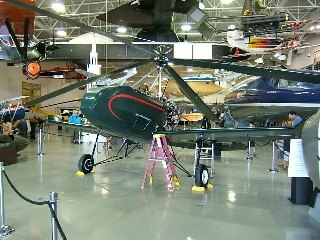 The aircraft that they did design however does have a place in the history books in regards to future gyroplane designs. 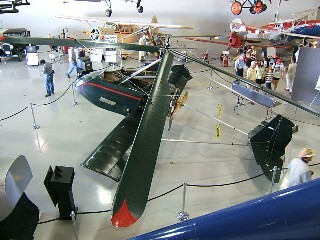 Built under license from the Autogiro Company of America (Pitcairn). Key figures to the success of the A-1 Autogiro were Buhl’s chief engineer, Eitenne Dormay and pilot, James Johnson and one other gentleman by the name of Alfred Verille, another aircraft designer. Alfred Victor Verille was an aviation pioneer and aircraft designer responsible for a number of important contributions in aircraft design. Some of his innovations include welded steel-frame fuselages and retractable landing gear. Born in 1890, Verille started working in 1914 at the Curtiss Aeroplane & Motor Company. By the close of World War I he had worked for several aircraft manufacturers. In 1915 with Thomas-Morse Company, 1915-1917 for General Airplane Company and 1917-1918 with the Fisher Body Corporation, Airplane Division. In 1918 he worked with the Army Air Service Engineering Division at McCook Field, Ohio until 1925. 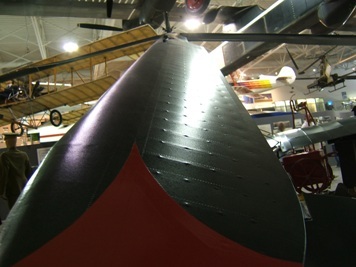 In 1925 he co-founded the Buhl-Verville Aircraft Company and was with the company up to 1927. In 1928 he founded his own company in the Verville Aircraft Company. Most obviously important in this endeavor would be the other founding member of the company Mr. Lawrence D. Buhl. Buhl started his first aircraft company in 1925 as the Buhl Aircraft Division, Buhl Stamping Company in Detroit Michigan. In 1927 the company changed names, Buhl Aircraft Company located at Marysville, Michigan. In 1930 the company packed up and moved to St. Clair, Michigan. This is where the autogiro comes into the story. Buhl had been fairly successful in selling his “Bullpup” airplanes and had a few compete in the 1931 transcontinental race. But in the same year Buhl and his company entered a new endeavor in the world of autogiros. They created the A-1 Autogiro in 1931 with the first flight on December 15, 1931. The flight was conducted by James W. Johnson the company pilot and successfully completes the first flight of this aerial photography platform. The design by Dormay was intended to provide an optimum photography platform for both commercial and military applications. Photo provided by Mr. M. Woolson. 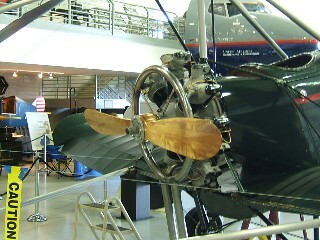 The ship was powered by a 165 hp Continental A-70 engine. She was 27 feet long with a wingspan of 32 feet and a rotor diameter of 40 feet. Dormay’s creative genious lay in the placement of the powerplant, he chose to locate the engine behind the cabin for optimal viewing ahead of the aircraft. In doing so Dormay created the first pusher style autogiro in the world. A design which would become very popular after World War II and is still the most prevolant design found in today’s gyroplanes. 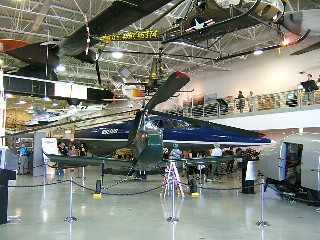 The aircraft was flown widely across the United States on display its capabilities. Buhl was able to secure a license to build the design as a commercial aircraft but the looming era of the Depression was upon them. 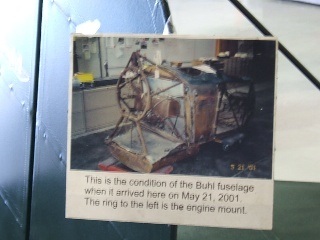 In 1933 the Buhl Aircraft Company was forced to close its business operations. Buhl never recovered as an aircraft manufacturer following the depression and only the one aircraft was ever built. Verille on the other hand faired pretty well following his departure from Buhl. In 1932 he was a consultant for the Bureau of Air Commerce, 1933-36 a consultant for the Department of Commerce. 1937 and 38 we worked for Douglas Aircraft and 39-41 he was back as a consultant for the Bureau of Air Commerce. 1941-42 with Curtiss Wright, ’42 with Snead Aircaft as he continued his career. 1942-45 with Drexel Aviation Company and in 45 served with the Naval Technical Mission to Europe. Finally ready to settle into a single position for a while Verille joined the USN Bureau of Aeronautics in 1946 and worked there until his retirement in 1961. So much from a single aircraft and unfortunately not a well known aircraft in terms of the impact it would have on later gyroplane designs. and a very special thanks to my friend M. Woolson for taking and providing gyroplanepassion.com with the fantastic photos on this page. 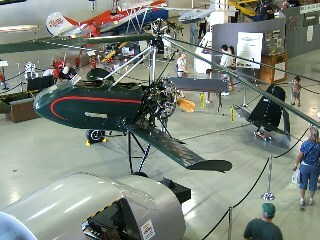 Please also note that the one and only Buhl A-1 Autogiro can be seen at the Hiller Museum in sunny California.